Ha-Shilth-Sa is Canada's Oldest First Nations Newspaper. It began publishing on Jan. 24, 1974. 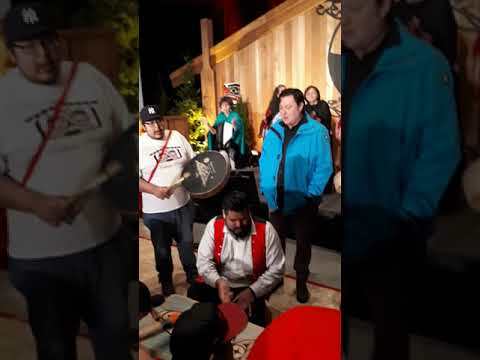 Ha-Shilth-Sa is published by the Nuu-chah-nulth Tribal Council, a non-profit society serving members of the Nuu-chah-nulth First Nations located along the west coast of Vancouver Island. Ha-Shilth-Sa is a Nuu-chah-nulth phrase meaning "Interesting News." It can be found online at www.hashilthsa.com Ha-Shilth-Sa is published each month in hard copy. It is distributed to Nuu-chah-nulth members on Vancouver Island, in Vancouver, or wherever they may live. The newspaper is also sent to each First Nation in British Columbia, as well as other individuals, businesses, institutions, organizations, government and agencies in Canada and the United States interested in First Nations issues, concerns and culture.